The U.S. Army is made up of the most dedicated, most respected Soldiers in the world. These Soldiers protect America’s freedoms while serving at home and abroad, and they are always prepared to defend the nation in times of need. A U.S. Army Soldier is the embodiment of physical strength, mental strength and strength of purpose. As a Soldier, you will be prepared to serve our country whenever and wherever you are needed. You will be combat ready at all times, and you will be trained to counter any threat, anywhere. Compensation: The average active duty service member receives an Army benefits and pay compensation package worth $99,000. Noncash compensation represents almost 60 percent of this package. Noncash compensation includes health care, retirement pay, child care and free or subsidized food, housing and education. Coupled with regular cash compensation, this adds up to attractive military compensation for Soldiers. 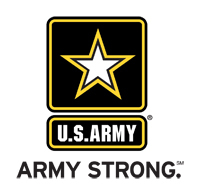 Education Benefits: The U.S. Army is the biggest university in the world — educating more candidates through hands-on career and leadership training from experts in their fields, offering incredible internship opportunities and a variety of valuable experiences. You’ll receive instruction and training in fields that include the arts and media, science and technology, engineering, mathematics, medicine, law, mechanics, aviation and many more. A college education is a valuable part of your overall compensation. Qualified students can earn full-tuition, merit-based scholarships; allowances for books and fees, plus an annual stipend. Heath Care & Life Insurance: As a Soldier, you and your family are entitled to service members group life insurance automatically covered by a comprehensive HMO-type military health-care plan called TRICARE that provides medical and dental care at little or no cost. Service members’ Group Life Insurance is a program of low-cost group life insurance for active duty and Army Reserve Soldiers. SGLI coverage is available in $10,000 increments up to the maximum of $400,000. SGLI premiums are currently $.065 per $1,000 of insurance, regardless of the member’s age.